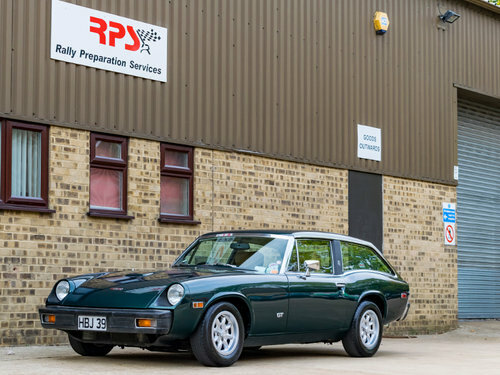 Rally Preparation Services is pleased to offer this very rare and truly very special 1976 Jensen GT classic rally car. With only 54 believed to be left in the UK, it is doubtful that you will find a better example or one more worth demanding a higher price and for good reason. The car has been with the current owners since 2005 and enjoyed numerous class / category wins and an outright win on the Three Castles Rally 2016. The Jensen GT is an estate or sports-back derivative of the more plentiful Jensen Healey roadster manufactured by the often troubled Jensen Motors in conjunction with Donald Healey and Kjell Qvale. Norwegian / American Qvale imported British cars into the U.S. and when BMC halted production of the big Healey 3000 a replacement was required. 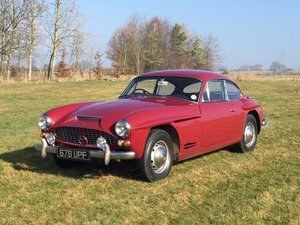 Jensen had made the big Healey bodies so it sounds like a match made in heaven. 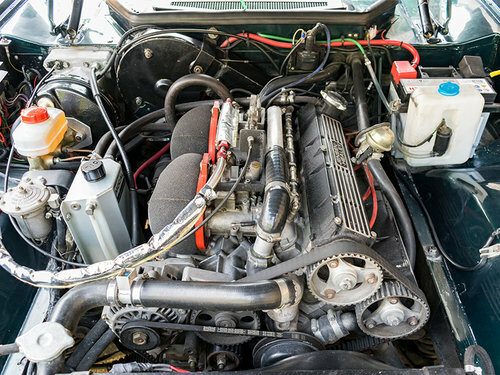 In common with many a great sports cars, parts were sourced from a myriad of suppliers; Colin Chapman’s Lotus provided the fantastic 16 valve alloy 907 engine reputedly the first mass produced modern 16v twin cam, the gear box was initially a somewhat less glamorous Rootes item later replaced with a superior 5-speed Getrag unit while the axle can also be found in the back of a Firenza. 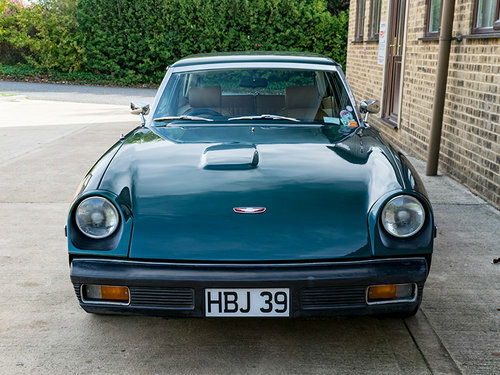 The Jensen Healey went on to be Jensen’s best seller and great things were expected of the GT when it was launched in 1975. 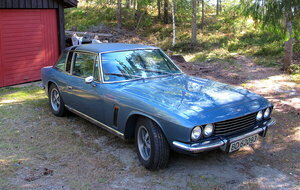 Unfortunately the oil crisis had hit the mainstay model, the Jensen Interceptor hard and Jensen succumbed in 1976 after just 509 Jensen GTs had left the factory. 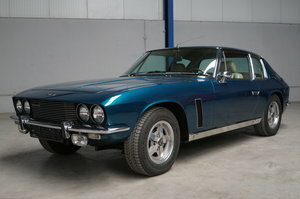 This classic rally car was re-patriated from California in 1998 by the then Chairman of the Jensen Owners Club. 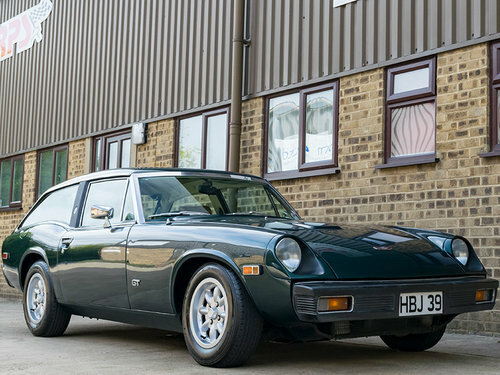 This classic car, which had been stood for a number of years, had covered only 14000 miles before it underwent a £30,000 restoration and rhd conversion. 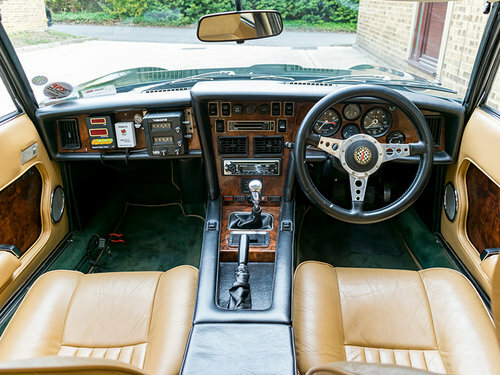 At the same time, the car was upgraded with burr walnut dash, burr walnut door trims, new carpets and full leather, which was rewarded with the gold concours award at the Jensen Owners Club International weekend. 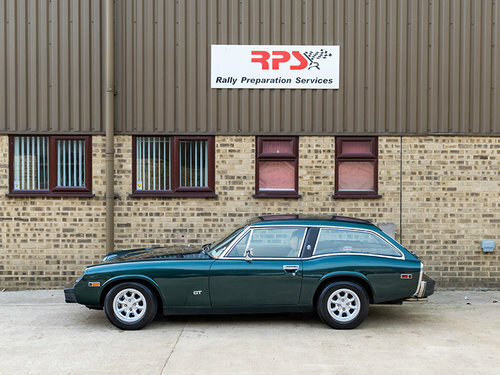 The current owners secured the car in 2005 and have commissioned significant and sympathetic improvements to create a winning classic rally car. The specification is below with further details on request. The car comes with a substantial document file and spares. Please note the cherished number is not included with the car. The car is available for inspection and is currently residing at RPS’ sister company - the SASCo storage facility. All enquiries please to Martin on [email protected] or telephone +44 (0)1993 358009. •	Original Getrag dogleg 5 speed.